Here’s the scenario: You’re on an outdoor adventure that at some point requires a climb, traverse, or descent of a steep, snowy slope. A slip or fall could send you sliding dangerously downhill. It’s the type of terrain where an ice ax would be the optimal piece of gear to provide a firm point of contact and help you self-arrest should you start sliding. But if you encounter such conditions for only a small fraction of your trip, an ice ax is a substantial piece of fabric-slicing gear to carry for a limited short-term need. This is doubly true if you’re already using a pair of trekking or ski poles the rest of the time. Enter the Black Diamond Whippet Ski Pole ($119), a unique and niche piece of gear that the company has been making for many years with ski mountaineers in mind. 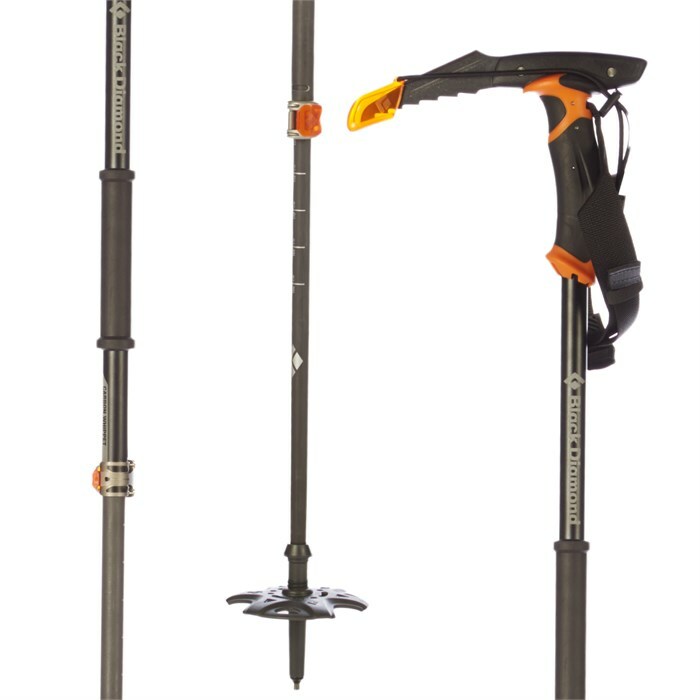 It’s basically a two-in-one device: an ice ax pick fused to the top of a trekking pole handle. It may look like the offspring of a midnight tryst between pole and ax, but the Whippet’s specialized design will give you the ability to dig into the snow and self-arrest if you start sliding, or to just plant the point for a bit more traction on dicey sections of snow- or ice-covered slopes. In some ways, the Whippet offers the best of both worlds. Unlike ice axes, the Whippet gives you the ability to shorten or lengthen the pole to best match your slope and traction needs. And unlike most trekking poles, which can bend or fail when subjected to substantial stress, the Whippet uses stronger, tougher materials designed to withstand the forces involved in a self-arrest scenario. Of course. One is weight: the Whippet pole weighs 17 ounces, roughly double the weight of most poles. There’s also the constant presence of a sharp object in your hands, though the Whippet does come with protective cover for the pick when you’re not using it. Finally, the Whippet provides less holding power in the snow than a traditional ice ax. For the serious winter adventurer, the upsides of this product may win out, however. If you already own a pair of Black Diamond poles, you may not need to buy the combo pole. The Whippet attachment ($59) allows you to interchange the handle on your traditional trekking poles. Winter is on its way. Adventure on!